We’ve fixed our race conditions! Now all we have left to is to fix up the hacks we put in place to work around them. 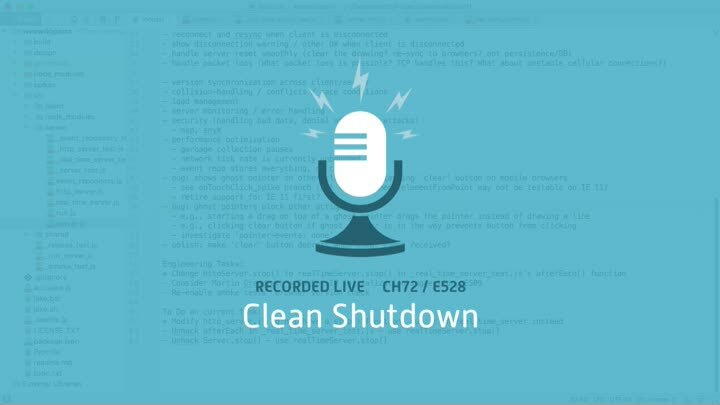 We need to have our production code cleanly shut down the server and prevent cases where the wrong shutdown API could be called. It’s easier than it sounds, and by the end of the episode, we’ve finished the chapter.